You can click on some project names to see available photos. Role: ECI performed the Phase 1 live short cutting work including planting site preparation, harvest and installation of 760 willows and cottonwoods. ECI also performed initial weeding management of the hydroseeded 3:1 slope areas. Role: ECI prepared the wetland restoration plans, detailed specifications and maintenance and monitoring program. ECI mapped the site specific seed collection zones and performed the rare plant surveys for locally listed species. Central Coast Wilds nursery performed all native seed and division collection and propagated the native wetland and riparian plants for the project. ECI performed project implementation including the installation of 57,500 wetland & riparian plants and willow stakes. ECI also performed invasive plant removal including flame weeding of poison hemlock, bristly ox-tongue. Role: Five acres riparian, wetland and upland habitat restoration project along upper Stevens Creek. Work areas were along upper Stevens Creek and Reservoir including steep slopes. Role: Erosion control, irrigation installation, plant installation and maintenance of riparian habitat. Role: Plant propagation, plant installation, design-build of irrigation system, maintenance, detailed biological monitoring and report writing for a mitigation site along Los Gatos Creek. Role: Propagation and installation of 1800 native plants. Design-build of irrigation system. Maintenance, monitoring survey, and reporting responsibilities. Role: Seed collection, plant propagation, plant installation, design-build of irrigation system, maintenance, and monitoring survey responsibilities for a 10 acre mixed woodland restoration site and 4.5 acre maritime chaparral site. Role: Plant propagation, plant installation, design-build of irrigation system, and maintenacne, for a mitigation site near San Jose. Role: Invasive plant removal (Tree of Heaven). Plant propagation, plant installation, irrigation installation and maintenacne of 4 acres of wetland habitat and riparian habitat. Role: Plant propagation, irrigation installation, plant installation and maintenance of riparian & wetland habitat. Role: Invasive plant removal, site-specific seed collection, plant installation and maintenance of coastal scrub & oak woodland habitat. Role: Plant propagation, installation and maintenance of native plant hedgerows, grass waterways and wetland buffers. Role: Invasive plant removal, site-specific seed collection, irrigation & plant installation and maintenance of oak woodland and riparian habitat. Role: Plant propagation, irrigation installation, plant installation and maintenance of 3 miles of Coyote Creek riparian habitat. Role: Writing and implementation of enhancement plan, which consisted of offsite mitigation for development impacts to coastal terrace prairie habitat; site-specific seed collection; mowing management; native plant installation; monitoring. Role: Installation and maintenance of native maritime chaparral plant community. Role: Work performed at Anna Jean Cummings County Park. Invasive plant removal, site-specific seed collection, and habitat restoration. Role: Invasive plant removal, site specific seed collection, native plant restoration, development of work plan, and ecological monitoring. Role: Invasive plant removal, site-specific seed collection, and native plant restoration. Role: Invasive plant removal, endangered plant salvage, site specific seed collection, and native plant restoration. Role: Invasive plant removal, riparian plant restoration, site specific seed collection. Role: Riparian plant restoration, and monitoring. Role: Site specific seed collection, native plant restoration, and riparian restoration. Role: Site-specific seed collection and native plant propagation. Role: Botanical consulting, project design, and farmer outreach. Role: Project management including site-specific seed collection, propagation and oversight of installation. Role: Project design and management including site-specific propagation and oversight of installation. Role: Invasive plant removal, rare plant propagation, maintenance and monitoring. Role: Implementation of enhancement plan, including native plant salvage, site mapping, management and monitoring. Role: Site-specific seed collection and propagation of native plants. Role: Consult and Implement Native Plant Revegetation Plan. Role: Consult on design and plant propagation. Role: Vegetation and wetland mapping, species survey and Natural Diversity Data base review. Role: Site assessment, plant propagation, and implementation of riparian restoration plan. Role: Botanical assessment and preliminary restoration planning. 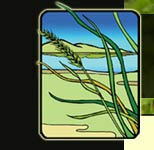 Role: Seed collection, propagation and installation of coastal scrub species. Role: Restoration Planning and implementation. Role: Volunteer plant propagation and installation. Role:Formulation of policies, goals and objectives for riparian restoration. Role: Field surveys to evelop database on oak distribution and abundance.